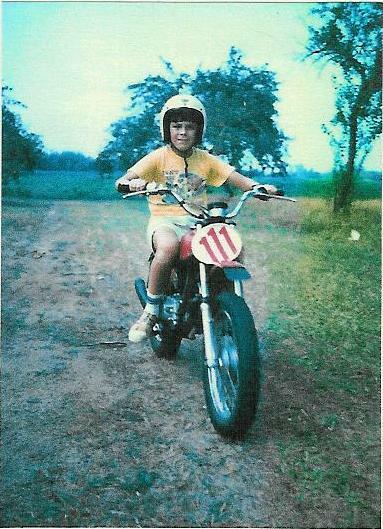 Here I am on an early 1970’s Honda in about 1976. I think the bike is an XL70 or SL70 that was modified. It was my cousin’s bike when they lived in Michigan. I loved riding it whenever we would go over and visit them.